Iris' managing director of content asks whether it's too soon to conform to a new social video orthodoxy of what works and what doesn't. Truly, Facebook is the apex predator of the social media ecosystem. 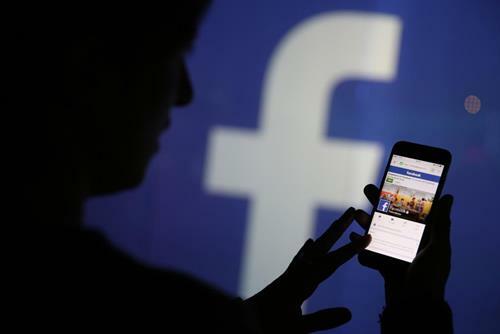 Like a T-Rex in a car mirror, Facebook is bigger than it appears. Consistently, and for more than six years, it has received over half of all social media visits in the US. Its nearest rival, YouTube, can only boast a modest 15% to 20% share in that same time period. And where there is an audience, there is advertising revenue. 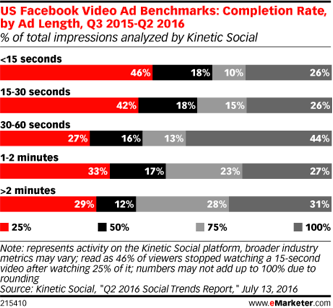 In the second quarter of 2016, Facebook ad revenue grew by an astounding 63%. Since Facebook came to prominence it has also evolved a surprising amount. From a predominantly desktop experience, it is now truly "mobile first," with nearly three-fifths of users only accessing only from a mobile device. But possibly more significantly for brands, the big audiences of people who "like" their pages have become pretty much worthless. Driven by Facebook’s rapacious algorithm, the number of consumers who see a post from a brand organically has drifted ever downward to typically less than one percent of followers. It’s an extinction event on an unprecedented scale. A reach apocalypse. These rules-of-thumb are becoming hard and fast laws, not to be broken within some client organizations, but how inviolable are these laws? It’s true that mute work can be brilliant, like this Clinton campaign video featuring American model, actor and deaf activist Nyle DiMarco. But then, the "You talkin’ to me" campaign for car rental company Sixt specifically needs sound to work and with a 10-times higher click-through rate than similar campaigns and 27% higher view rate than similar campaigns you can’t be deaf to its impact either. Likewise, Cadbury’s Dairy Milk recently had success with content delivered in 1:1 aspect ratio on Facebook—getting a 48% increase in ad recall and 2.5-times increase in message association for this Facebook-friendly creative versus regular TV ads that had been repurposed for the Facebook news feed. But equally, Axe Poland played on the widescreen cinematic feel in their "Find your magic" campaign and saw 7.4% increase in ad awareness and 73% lower cost per reach than other online channels. Nothing square about that. Finally, there’s so much talk of keeping video content short, almost to the point where any longer than 15 seconds is seen as a waste. An example of this is Peloton Cycle, creators of an indoor exercise bike that live streams cycling classes straight to your bike, who found that their 15-second ads performed the best. But clearly there are also examples where a longer time length was no obstacle to viewers. Like the brilliant "#WhatIReallyReallyWant" campaign for the Global Goals movement which scored 58 million views despite having a running time of one minute 24 seconds. A project Iris delivered for soft drink brand Purdey’s actually broke every one of these rules. It was a wide-screen film, that lasted two-and-a-half minutes, and relied totally on dialogue. Nevertheless, the campaign delivered over 34 million views, half of which were completely organic, driven by users sharing with their network. The work completely transformed Purdey’s rate-of-sale and doubled their distribution footprint. True, using massive celebrity like Idris Elba made the content feel like content, not just an ad, and we also had a real test and learn approach to the targeting—trialling many different audiences on Facebook and optimizing our spend in real-time against whichever ones responded best. 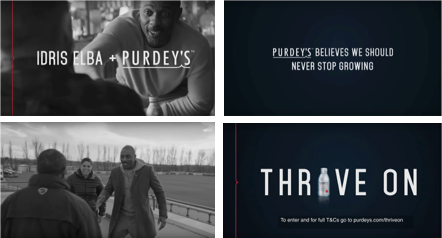 But in the end, we believe success was rooted to the fact that we tapped into a genuine and very emotional insight that there is a deep pool of unfulfilled life ambitions among our target audience which fit tightly with Purdey’s brand positioning of helping you to thrive in life, and also matched Idris Elba’s own late start in his career. This message that it’s never too late to follow your passion genuinely resonated with our audience and was something people wanted to discuss and share socially. So in reality, there are no scientific rights and wrongs about what will work on Facebook any more than there have been in any other form of creativity. There are undoubtedly marginal gains to be had by following the data, but ultimately data is always looking in the rearview mirror. Indeed, the minute you systematize creativity is exactly the moment the magic becomes mundane. In the end, marginal gains are possible but they are just that, marginal. Real leaps in performance actually require breakthrough thinking. Not by following the rules but confounding them. Remember, it wasn’t bigger and more aggressive dinosaurs who eventually beat the T-Rex, it was a different paradigm altogether, those little mammals who rang rings round the lumbering beasts.